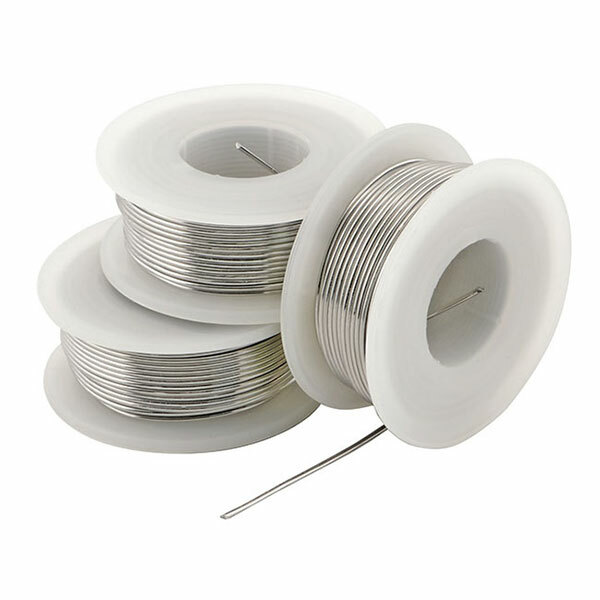 Flux-coated for easy flow and maximum adhesion, and only 1 mm (.039 inch) diameter for good control, this is the preferred solder for electronic assembly. Works for model assembly as well . . . especially on brass and copper. Alloy is 40% tin/60% lead . . . an economic alternative to higher tin alloys, and with a wide melting range of 361 - 460 degrees F. Sold as a set of 3 rolls; total weight 300 grams (10.6 ounces).